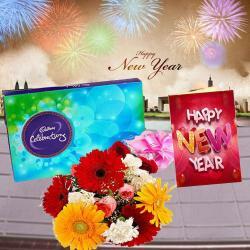 Product Consists : Bouquet of 15 Mix flowers Gerberas, Roses and Carnations with fillers in a Cellephone wrapping, Assorted Sweets (Weight : 500 gms) along with New Year Greeting Card. 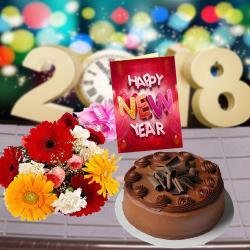 Mix Flowers that are arranged to delight are all set in the hamper to make you surprise anyone. 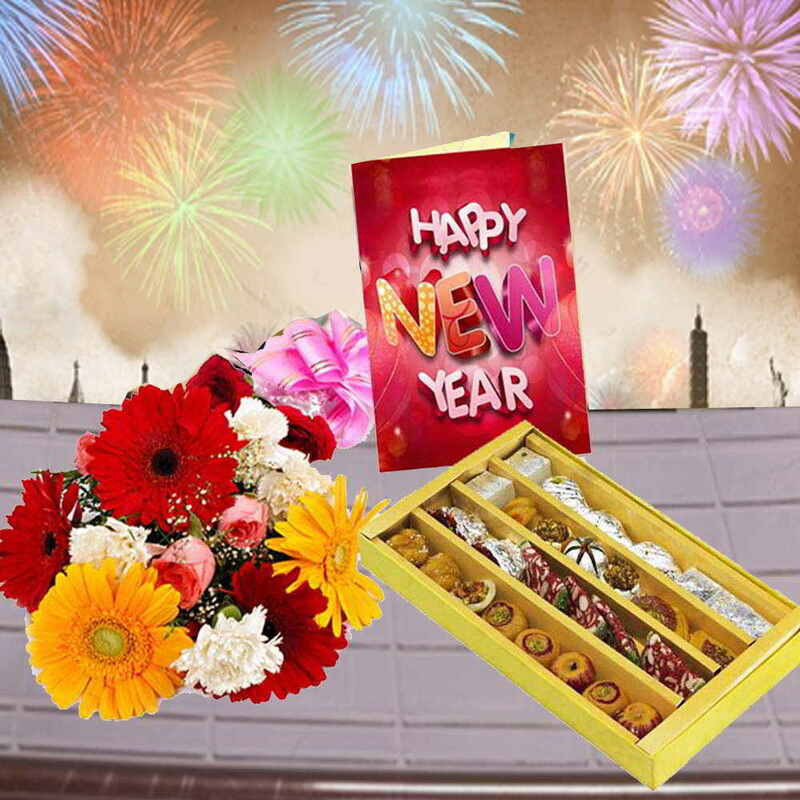 We have put together half Kg assorted sweets along with the fresh and fragrant flowers like Gerberas, Carnations and Roses. 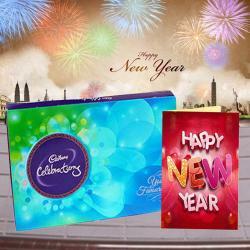 This is a hamper that will prove to be the best gift for New Year as it also comprises of a New Year greeting card. Spread love and smiles with the hamper here by sending it to anyone special to you. 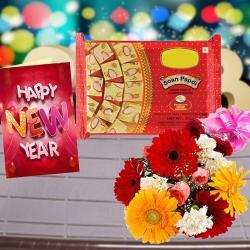 Product Consists : Bouquet of 15 Mix flowers Gerberas, Roses and Carnations with fillers in a Cellephone wrapping, Assorted Sweets (Weight : 500 gms) along with New Year Greeting Card.